Which is the Best Wheatgrass Juicer for 2019? 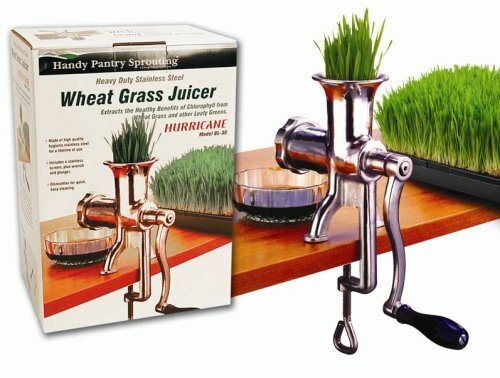 A juicer that’s specifically made for wheatgrass will allow you to squeeze the juice out of this grassy vegetable efficiently. As you may already know, wheatgrass is extremely high in fiber – and that makes it difficult to juice. Therefore, you need a juicer that can deal with this high fiber problem without taking too much work and time (as both are valuable). Fast – A large amount of juice can be produced in a short time. Easy to use – As with other electrical devices, most electrical juicers operate with just the push of a button. Simple operation – Basically, you just need to push pieces of chopped food down into the feeding chute for proper processing. Expensive – Electrical models are usually more expensive than manual units. 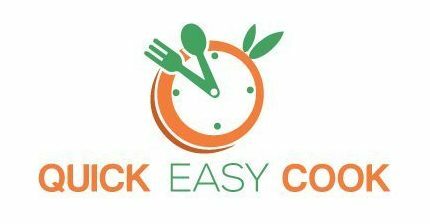 High speed means high heat – High speed juicing can also produce heat – this lessens the amount of live enzymes and nutrition from the extracted juices. Affordable – Manual juicers are usually more affordable than electrical models. 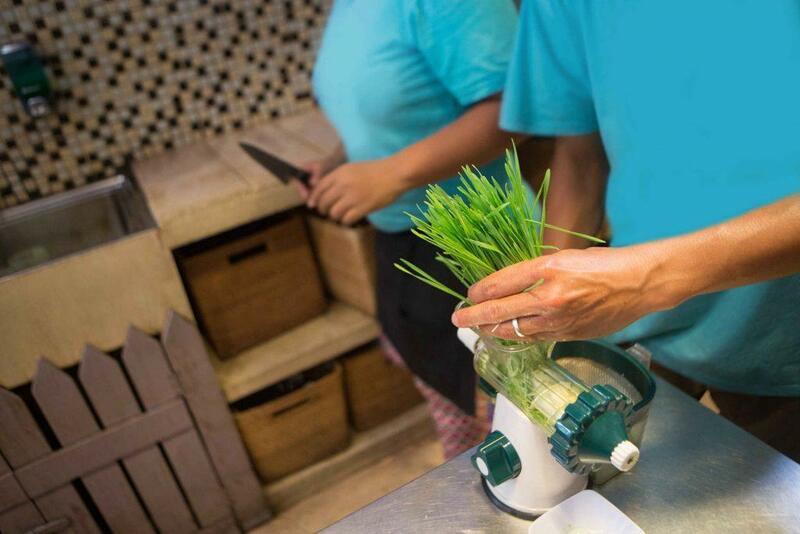 Effective – With the right construction, a manual juicer can extract juice from wheatgrass without destroying the live enzymes and nutritious elements present therein. Easy to maintain – A manual juicer doesn’t have a motor that could malfunction. Tiring and troublesome – Operating a manual juicer depends on human strength – and can therefore be tiring. 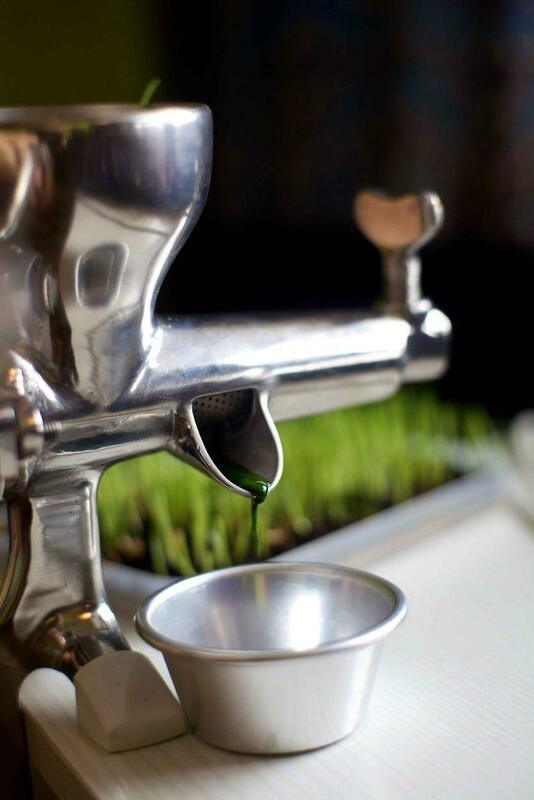 Not time efficient – It takes some time to produce a shot of wheatgrass juice. When deciding between electric and manual juicers, consider the points listed below. When buying an electrical model, go for units with low speed (around 80 rpm) as high-speed juicers produce a lot of heat (and destroy the live enzymes and nutrition that are present in wheatgrass). 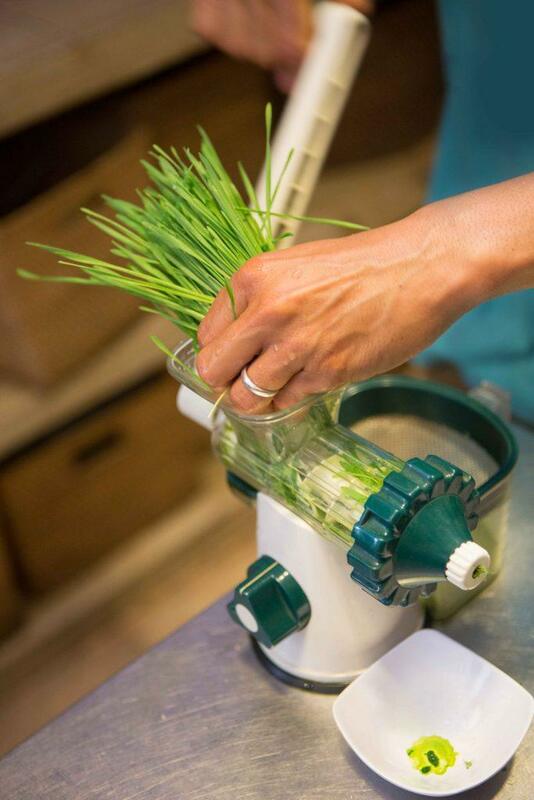 Whether using manual or electrical wheatgrass juicer, make sure that you wash the wheatgrass first. Also cutting these to reasonable sizes will make juicing more efficient. Electric models are easier to use than manual units. Manual juicers produce more nutritious juices than electrical models. Manual juicers are typically easier to clean than electrical ones as there are no motors that could get wet. When choosing a wheatgrass juicer, you can go for a model that’s specifically made to juice wheatgrass. You can also go for an all-around juicer that can process other types of fruits and vegetables. If you want to juice wheatgrass as well as hard types of fruits and vegetables, this all-around masticating juicer will probably be of interest to you. In fact, it also functions as food processor, coffee and spice grinder, pasta extruder, and more. It can very well be considered a commercial juicer, you see. As a wheatgrass juicer, this unit can yield highly nutritious shots of wheatgrass as it uses slow speed in processing this vegetable. Operating on low speed also reduces the chances of clogging, foaming, and exposing the juicing process to oxidation. Effective – It works well in juicing wheatgrass and other leafy vegetables. Multipurpose – This unit also works as food processor, grinder, homogenizer, pasta extruder, etc. Looks – It looks so good that you will be proud to display it in your kitchen. Quality – This model is well-built and is stable during operation. Quiet – For an electrical juicer, this model is very quiet while in use. Very expensive – This may seem like a very expensive unit if you’re only planning to use it to juice wheatgrass. Weak filtering screen – The filtering screen can get easily damaged and you will need to buy a replacement screen every time this happens. Although it may seem like an expensive product for a wheatgrass juicer, it can also be considered as a reasonably priced unit if you’re using it for other purposes. You can basically use this for different types of food preparation (it’s not just a juicer). 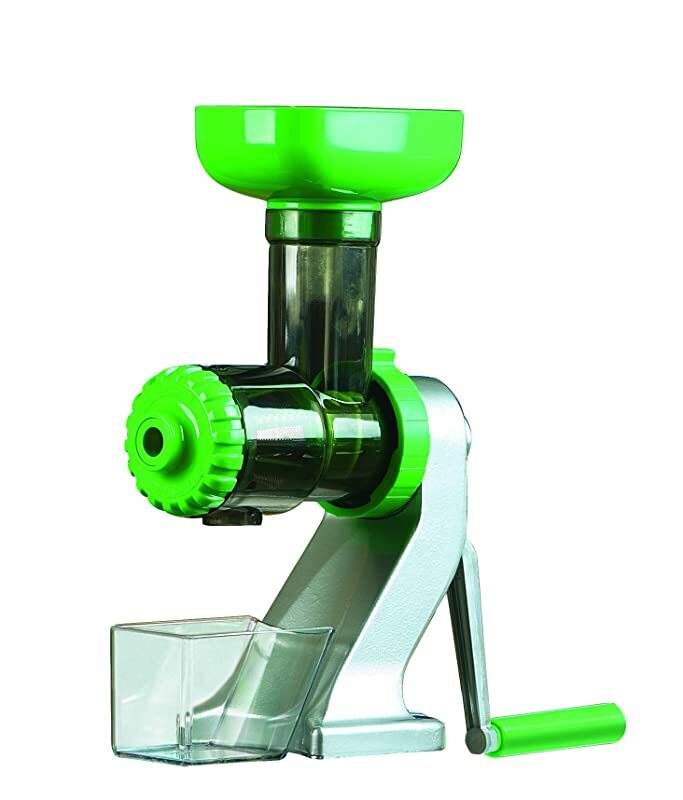 As a masticating juicer, this model uses slow speed auger blade system to crush wheatgrass and extract juice from it. Since it runs on a slow speed of 80 rpm, not much heat is produced and oxidation is lessened. This means that more nutrients are retained in your juiced vegetables. This model also comes with an automatic pulp ejection system. Therefore, the juice and pulp are processed separately and will come out from different chambers as you process wheatgrass. If you’re conscious about noise, you’ll be glad to know that this juicer is quite silent during operation (around 60 decibels). Easy assembly – The unit is easy to assemble. Quiet – You can use it even if someone is sleeping. Easy to clean – The removable parts are dishwasher safe. Reverse function – It comes with a reverse function that can help in case of clogging. 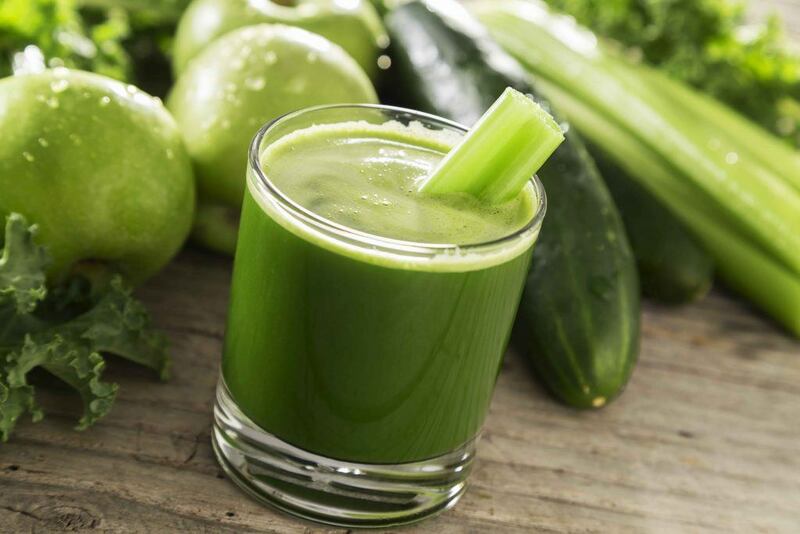 Low speed – Nutrients are retained after juicing as minimal heat is produced during operation. Small feeding tube – You will need to insert wheatgrass in small amounts. 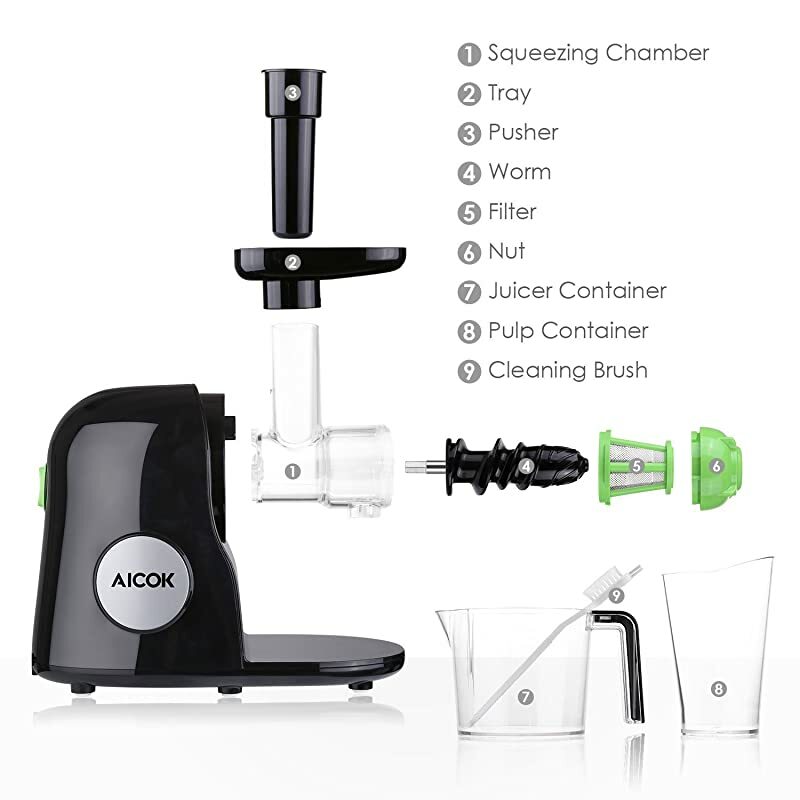 Small juice collector – If you’re juicing a lot of vegetables, you will need to transfer some of the accumulated juice when the juice collector is full. This is an affordable wheatgrass masticating juicer that also works well for other types of vegetables (especially leafy greens). If you want fast wheatgrass juicing without losing too much of its precious nutrients, this model makes for a great choice. Here’s another option for a manual wheatgrass juicer. It’s actually equipped with a masticating system. Like other types of wheatgrass juicers, this model is also capable of juicing other types of vegetables, especially leafy ones. As a manual type of juicer, this unit comes with a simple juicing technology. It has a crank that you need to turn to crush vegetables and catch their juices. This model is also easy to assemble. And to set it up, you have the option of using the suction cup to place it on a table or to use the clamp to position it on the edge of your kitchen counter. Efficient – Wheatgrass pulp will come out dry after a single processing. Cleanup is easy – After using it, just disassemble the removable parts and rinse under running water. Safe components – The auger system is made of BPA-free materials and stainless steel parts. Small and portable – You can bring it along with you when you travel. Can be tiring – Since this is a manual juicer, it will require some degree of strength to operate and turn the crank. Suction is not that strong – With the required force on using a manual juicer, the suction can get loosened up every now and then. For an affordable option in a wheatgrass juicer, this model can be a good choice. As long as you’re up to the task of using some strength (and time) in juicing wheatgrass, this unit will probably work for you. You can also use it to juice other types of leafy vegetables, by the way. If you want to avoid heat in juicing wheatgrass, this model of manual juicer might be of interest to you. It’s made of stainless steel materials, so it’s safe to come into contact with food and won’t rust.In order to use it, you need to mount it on your kitchen countertop. It comes with an adjustable clamp holder that will fit up to 2 ¼-inch thick counters. Since this is a manual model, it’s also portable. Therefore, you can take it along with you when you travel. It also doesn’t require electricity to work – so, it’s really useful to have around when you don’t have any electrical power. Easy to use – To operate this unit, you just need to turn the crank to squeeze out juice from wheatgrass and other types of vegetables. Easy to assemble – It comes with very few parts that you can have everything set up in minutes. Small and portable – This juicer is easy to carry around and store when not in use. Efficient – It’s very efficient in juicing wheatgrass. High Quality – The unit is made of high quality, heavy duty stainless steel. Container also catches pulp – In order to separate the wheatgrass juice from the pulp, you will need to use a smaller container. Slow processing can get tiring – It can take a long time to juice for 2 or more people. If you’re looking for a manual wheatgrass juicer that’s suitable for one person, this makes for a good option. A few minutes of turning the crank is not that tiring (and can be a good exercise) and doable if you have able hands. The Z Star Manual juicer is another affordable product that you can use at home and outdoors (where there’s no electricity). It’s lightweight, small, and portable – so, it’s really mobile and versatile. You can be sure that you’ll be getting nutritious wheatgrass juice from this unit as manual models don’t produce heat. You can also juice other green leafy vegetables with this juicer to maintain a healthy diet. 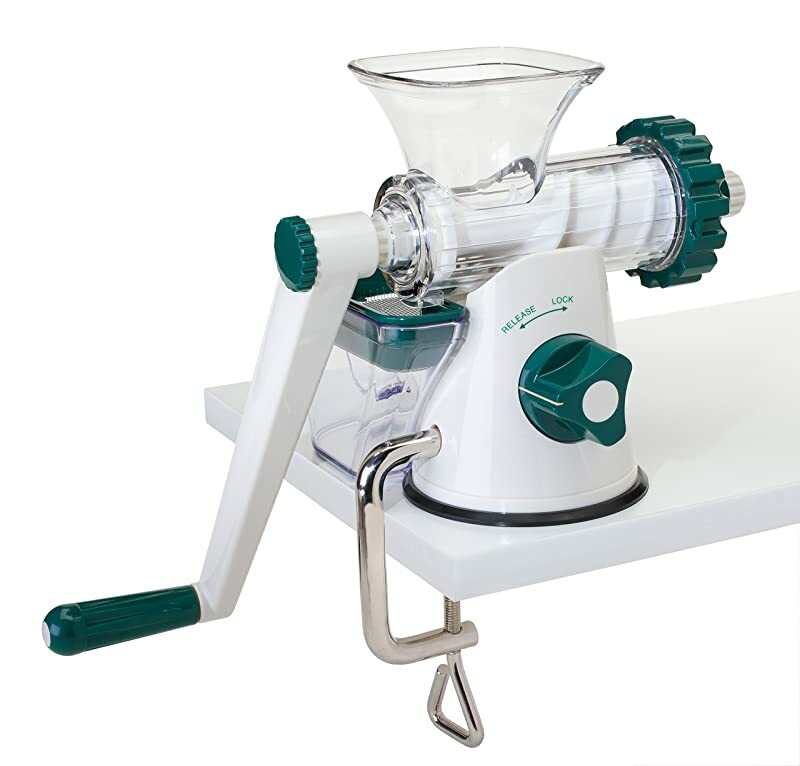 As with other manual wheatgrass juicers, this model also has a simple design and is easy to use. You can also expect it to be slow in producing vegetable juice when compared to electrical models. Easy to clean – The only difficult piece to clean in this unit is the filtering screen (as small bits and pieces of food can get caught in it). 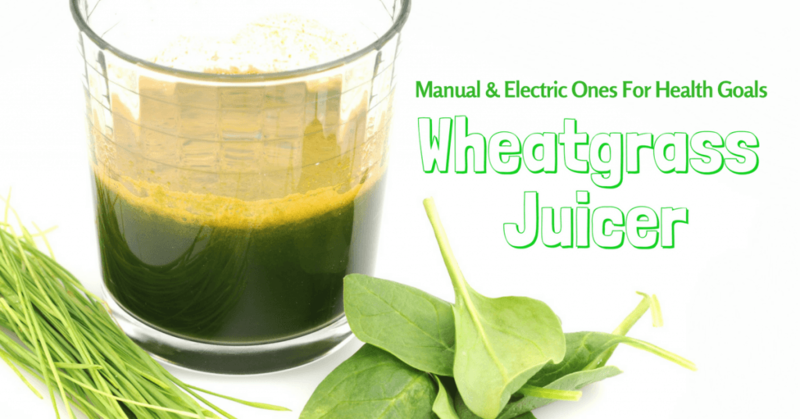 Efficient – You will get dry pulp when juicing wheatgrass and other leafy veggies. 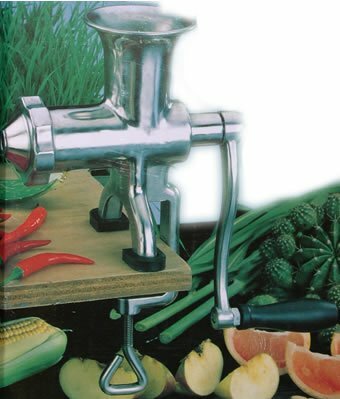 Simple to use – Operation only requires turning on the handle crank to squeeze juice from vegetables. Easy to assemble and set up – There are few pieces to assemble and it attaches to countertop edges through a clamp. Portable – Can be easily stored and carried around. Design – The pulp spout is located near the juice spout – if you’re not careful and alert, the pulp can fall into the juice container. Slow to produce – It takes a few minutes to produce 1 shot of wheatgrass juice. This model is another good option for a manual wheatgrass juicer. Not only is it affordable, it really works in juicing wheatgrass and other types of leafy vegetables as well. If I were you, I would choose between the Aicok electric wheatgrass juicer and the Handy Pantry HJ Hurricane Wheatgrass juicer. They’re both good, so it’s just a matter of preference (whether you want an electrical or manual model). 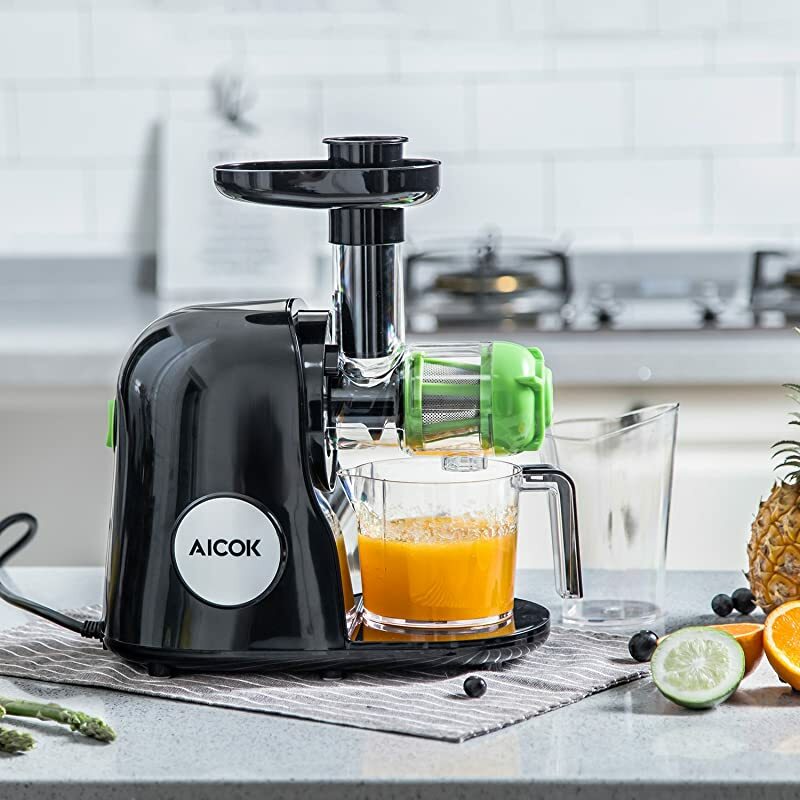 The Aicok juicer is a masticating juicer – it therefore juices wheatgrass by crushing and processing it with steel blades. It does so quickly, and you really don’t need to exert any effort manually (except push a button to turn the unit on). I like that it uses slow speed (only 80 rpm) – which preserves almost all of the wheatgrass’ nutritional content. If you really must go for a manual model, I would suggest going for the Handy Pantry Wheatgrass juicer. It really is simple to use and it works well in juicing wheatgrass (and other leafy greens, for that matter). But since it’s manually operated, prepare to get tired from turning the crank again and again. If you’re preparing vegetable juice for more than 1 person, it can REALLY get tiring. Are you looking for more juicing gadgets? click here for the blenders for making green smoothies.